Patient was treated in a single session. 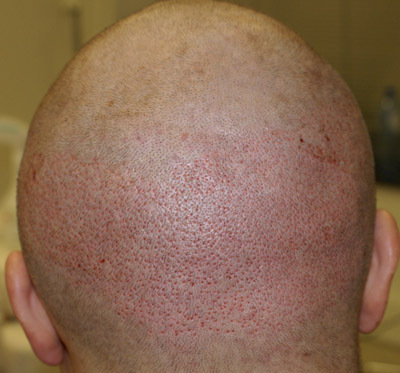 We needed 2100 grafts to build up his receded hairline, a density of 60 grafts cm2 was achieved on average. Who is the doctor ? » Who is the doctor ? Sorry, forgot to mention this is the work of dr. De Reys and his team. Patient paid 7000 for the full 2100 G.
» » Who is the doctor ? » Sorry, forgot to mention this is the work of dr. De Reys and his team. » Patient paid 7000 for the full 2100 G.
Indeed, a huge difference ! However we have a limited promotion for USA and Canada based patient where we will accept a 1 to 1 Dollar/Euro conversion. » Thats cheap like hell. » » Thats cheap like hell. We are working hard to bring down the costs for all patients. 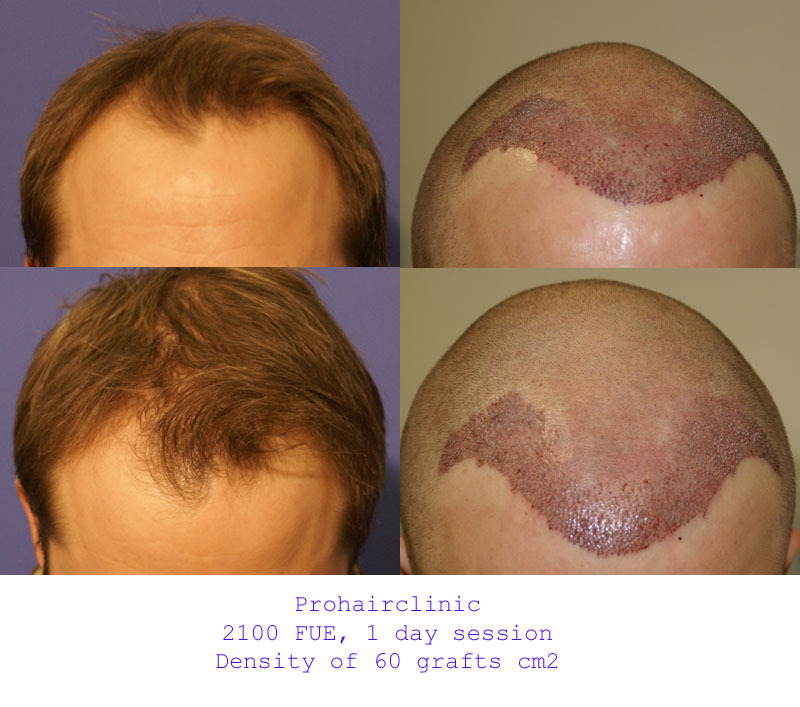 One of the ways to do this is by offering mega session FUE. We perform 1500 + single day sessions on an almost daily basis. 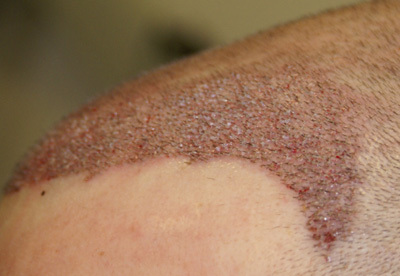 FUE should not be a treatment for the elite, it should be available for all who have a budget, comparable to that of strip surgery. It comes out to like 3.30 a graft thats cheap. » It comes out to like 3.30 a graft thats cheap. These rates have been unchanged since about 1 year. Before it was more expensive, but now we are able to transplant higher volumes per day without quality loss and thus we can lower the price. The immediate post-op shots show that the minaturized area behind the front wasn’t treated. Why not? ( I meant the typical NW4 loss zone) So although the front looks great, I wonder if the the zone behind is looking a bit shaky. I don’t want to rain on this guys parade, but I bet he needs an an umbrella a rainy day.